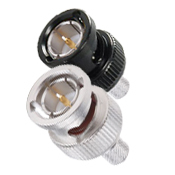 BNC 12GHz HD Connectors | Belcom Cables Ltd. The digital revolution has created a demand for the fidelity that HDTV brings to radio and television broadcasters. HDTV requires the highest technology advances in cable, connector and tooling engineering. EventSeries 12Ghz HD coax connectors and tooling can be delivered from stock.